Looking for a protein-rich treat to serve as a delicious snack (at work or otherwise)? You’ve come to the right place. I’m on Day 8 of the 14-day Conscious Cleanse (more on that next week when I’ve wrapped things up) and have discovered several delicious and healthy treats in the process — including this one! I need to point out one very important note here: These treats taste just like Girl Scout Samoa cookies. That’s right — my very favorite flavor of Girl Scout cookie in healthy, protein-packed form? It’s true. When I made these for the first time last week, Kevin tasted one and declared that they were even BETTER than Samoas. Whoa. In a small bowl, combine coconut flakes and hemp seeds. 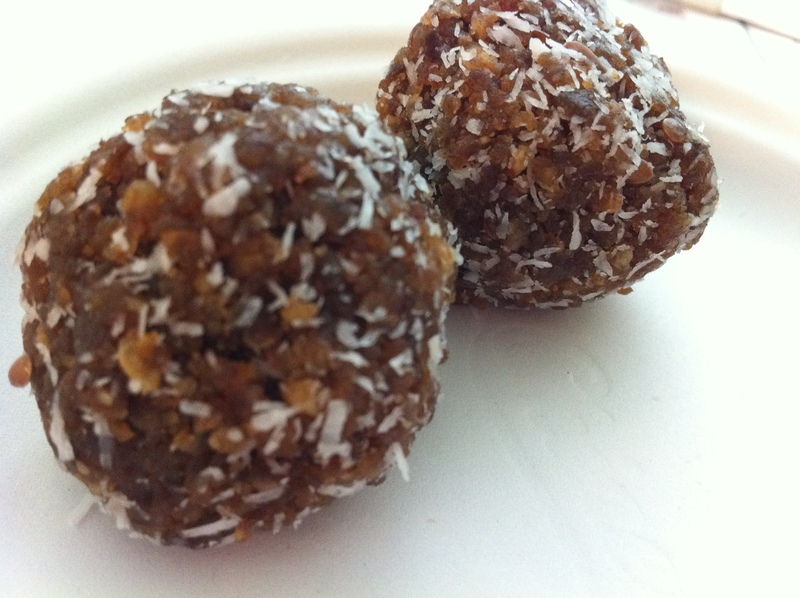 Using your hands, roll almond-date mixture into balls. Roll balls in coconut mixture and place in a container with a tight-fitting lid. Store in refrigerator or freezer and enjoy chilled. Previous Previous post: The Launch Of Fulton & Roark + A Giveaway! Those are my favorite girl scout cookies too – can’t wait to try – thank you!